There’s not a single bad review online thus far for Mio Posto and now I know why. They do nothing but create the most exquisite, incredibly decadent meals and I can say with confidence that this restaurant is the best I’ve been to in Saratoga, without a doubt. Nestled in the small space next to Ice House where Sangwych once was and before that 8 Tables, Mio Posto is quaint and romantic. We started with some warm and authentic Italian crusty bread, you know the kind that’s got the perfect crunch on the outside and the air bubbles and soft doughy texture on the inside? Ohhhh yeahhh. 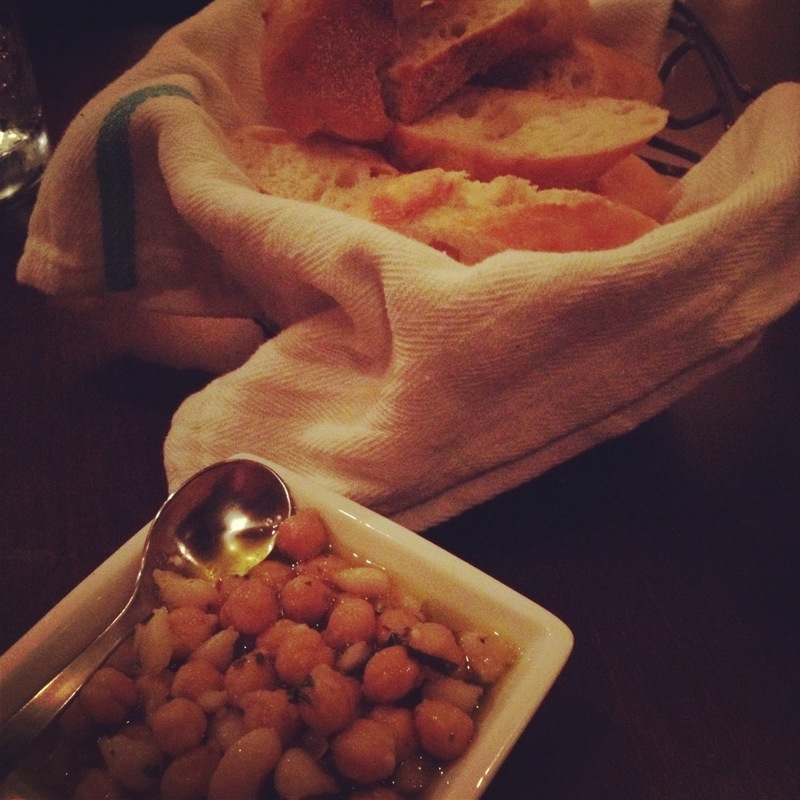 It was accompanied with a white bean mixture marinated in a garlic herb/olive oil dressing. So the beans were gone within 5 minutes but the remaining olive oil dressing was left over to dip our bread into which was simply perfection. Looking at the menu, I was facing some tough decisions. I looked around me and I saw the Ribeye, I saw the snapper, I even saw the scallops and I sat there for about 10 minutes contemplating. 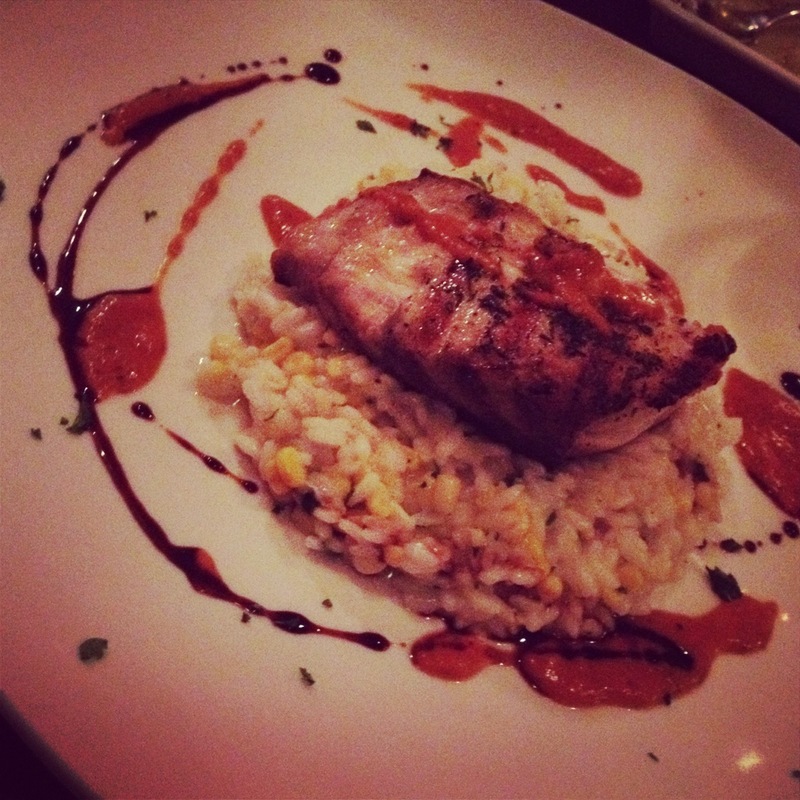 After a long deliberation, I went with the grilled red snapper, drizzled with a roasted tomato vinaigrette and on a bed on corn risotto. In order for me to review this, I need to pick this dish apart into three different components: snapper, risotto and vinaigrette. The snapper was seasoned with an array of fresh herbs and a hint of citrus. The texture of the fish was perfect, not too rare, not too flaky and the taste of the fish made it quite difficult for me to put my fork down. The corn risotto was a masterpiece, there’s really no other way to describe it. I know the difficulty that surrounds risotto and how easily it can turn into mush. This risotto was cooked al dente to keep the firm bite and the texture was so creamy and delicate. A+++++. Finally, the roasted tomato vinaigrette. The vinaigrette definitely tied the other components together and allowed for a lovely flavor combination when all three made a bite. It was fresh, seasoned nicely and a great binder. 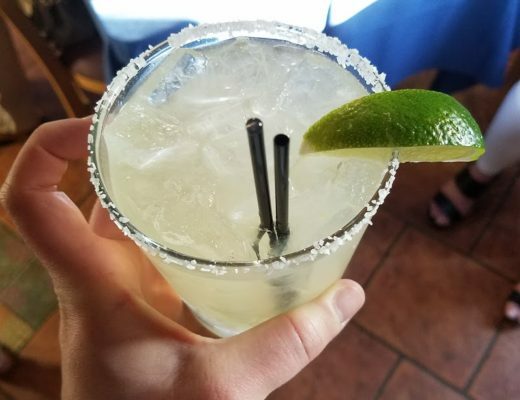 Tim knew what he wanted before we even entered the restaurant. 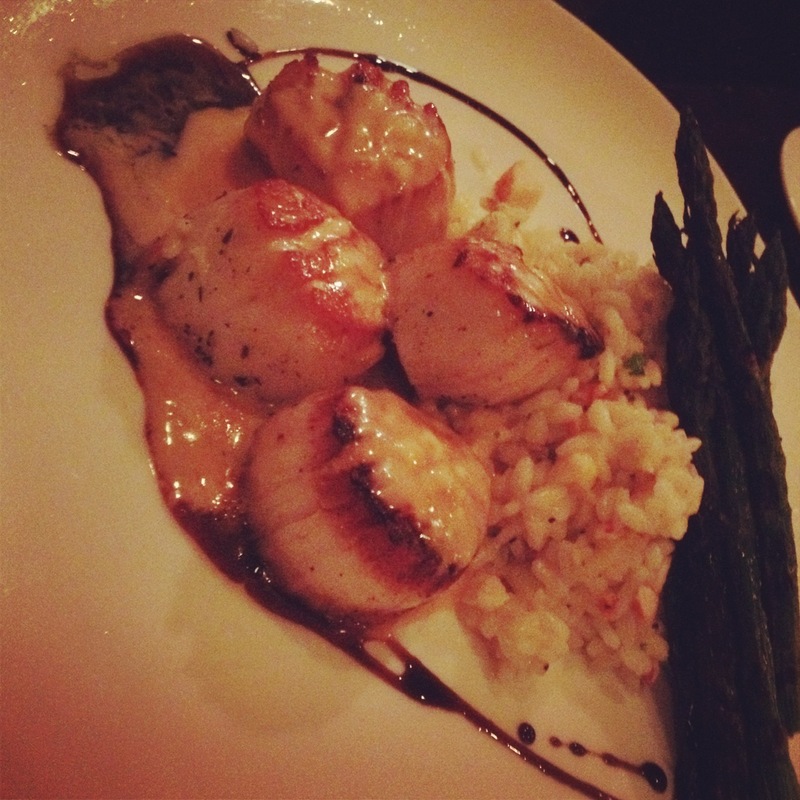 Seared scallops with a blood orange burro on a bed of lobster risotto. Sorry the picture is sideways, I’m apparently not the best photographer in the world. Anyway, let’s take a time out for a second to talk about the lobster risotto because it deserves it’s own little section. Sure, my risotto had corn and was delicious, so just imagine omitting the corn for lobster. Please try to understand how delicious this was, because I can’t find the right words to describe it. In addition, the seared scallops tasted like heaven and the little tastes I could get from Tim’s plate could have put me in a food coma. That good. 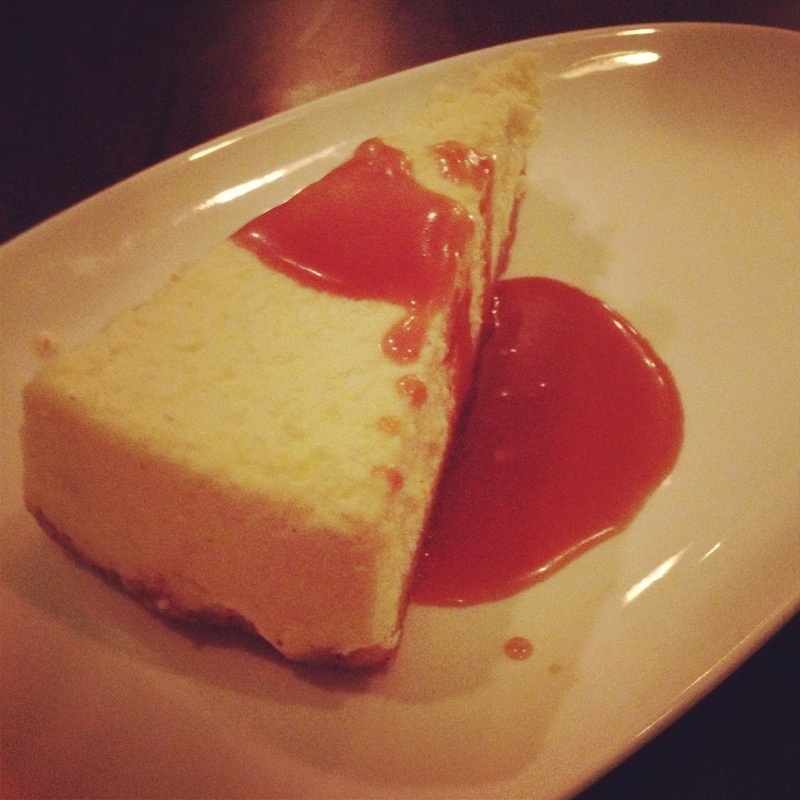 And to end the meal from another world, we ordered the risotto cheesecake. You don’t even have to question how this was at this point, do you? Decadent and divine. The ricotta made the cake lighter than the average cheesecake and made it possible to eat the entire thing, VERY quickly. There was also a nice refreshing hint of lemon which was a nice addition to the smooth flavor and texture of the cake. To end, I really can’t say much more. This restaurant left me speechless, and that is hard to do. Please go there, please eat there. Your standards will be brought up to a whole new level. 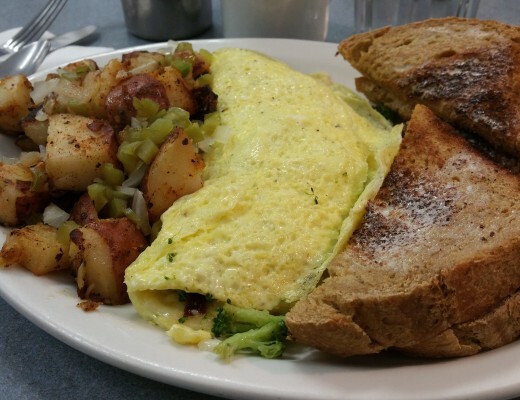 Follow me on twitter @togafoodfanatic and let me know what you think! Have wanted to try this place but it always falls off of my radar when trying to figure out where we should go. It seems so quaint and cozy! After reading how much you loved it, I think it will move to the top of the list! Love your blog! 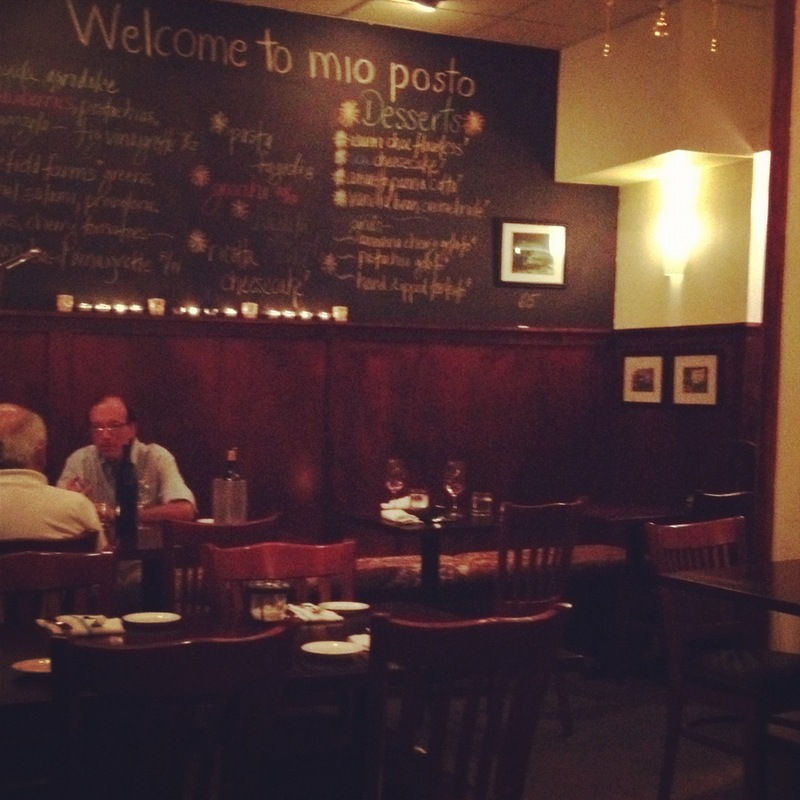 I can’t stress it enough, Mio Posto is definitely one of the best restaurants in Saratoga. You’ve gotta try it soon! Also – thank you for reading, so glad you like it!